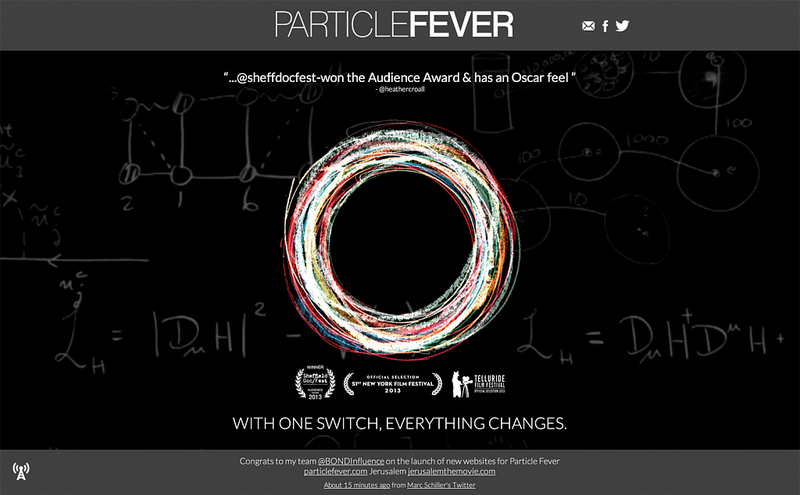 Quickfire Review: Particle Fever (2013) – Hooray For Movies!! Synopsis: Physicists are on the cusp of the greatest scientific discovery of all time — or perhaps their greatest failure. Particle Fever is the first in a three part review on documentaries currently streaming on Netflix about three very different subjects; theoretial physics, baseball and indeoendent video game design, bound together by one common and incredible affecting theme; the power of single minded determination in the pursuit of a common goal. For those living under a rock in the last 10 or so years, the Large Hadron Collider (LHC) at CERN in Geneva, Switzerland is widely considered the pinnacle of collaborative scientific experimentation. Some 30 years in the making, originally destined for Texas before some naive, myopic Senators blocked it on the basis that the nation at the time was facing more pressing issues than understanding the very essence of our being and potentially sparking the greatest minds on Earth in to evidence backed debates that may explain the very foundations of our Universe, LHC is one of man’s greatest achievements. What makes it so special though, more than the questions that the scientific community hope to answer by firing protons at the speed of light into each other around a 26km circular pipeline in order to prove the existence of the mystical Higgs Particle, is the selfless manner in which they approached it. When the US Government voted to shut down funding in the late 80’s they couldn’t see a financial incentive to keep it. There was no tangible militaristic or technological benefit known at that time. No one could put a dollar figure return on the investment. Only the advancement of knowledge, or more terrifyingly, that it may answer nothing at all. In their mind the if the Europeans wanted to build it then let us do it. They’ll just steal the technology created as a result. And therein lay the crucial word; steal. In order to steal something it needs to be owned by someone. The beautiful thing about LHC is that no one country or region owns the results. Although the HQ sits in Geneva the pipeline sits underneath Switzerland and France meaning no one country can claim proprietory rights. Thousands of scientists, engineers and mechanics from most every country in the World were involved in it’s inception, design, build maintainence and ongoing experiments. Even now the data is sent to universities all over the world for leading minds in their respective fields to interpret and develop theories around. It is the ultimate collaboration. It is not the results of the experiments though that stay with you after watching Particle Fever. It is the constant conversations taking place between scientists and engineers who have dedicated their entire working lives to either developing theories that before LHC had no real prospect of being proven right or wrong, or have sacrificed so much in dedicating their lives to building the most expensive science experiment in the history of mankind. The results of which may undermine some people’s entire bodies of work and professional reputations. Waiting for a switch to flip, after which all that they have staked their reputations on may be proven to be completely wrong. Their life’s work a waste. It is absolute professional and personal risk to invest everything on something that may prove to be a complete failure. As one leading physicist points out when doing a Q&A; it may prove everything, it may prove nothing. Until they switch it on, they just don’t know. That takes gargantuan balls. It is a truly gripping and ultimately inspiring sight. One that restores a small amount of my faith in makind. For while we are constantly told the World is falling down around us it is all to easy to forget that deep down we all lost, looking for answers. Be it in God, or the God Particle, that which binds us together is stronger than that which sets us apart and the LHC is a perfect microcosm of that belief. I also just watched this. The particle rap was horrible. Not surprised. It reminded me of silicon valley parties. Really enjoyed this documentary. It was the union of great minds, coming together with different theories, not knowing if each was correct but working together, helping each other to discover and potentially realise their theories. They didn’t jostle or even bicker to say their theory was better than another. They fed off each other’s knowledge and enthusiasm. That was something that I found very moving. People have great potential to come together for the greater good. It reminded me of the saying – United we stand, divided we fall. Thanks D 🙂 Yes it was a great example of human collaboration. Hope your had a chance to see some of the other documentaries that came up on Netflix recently that I binged on!